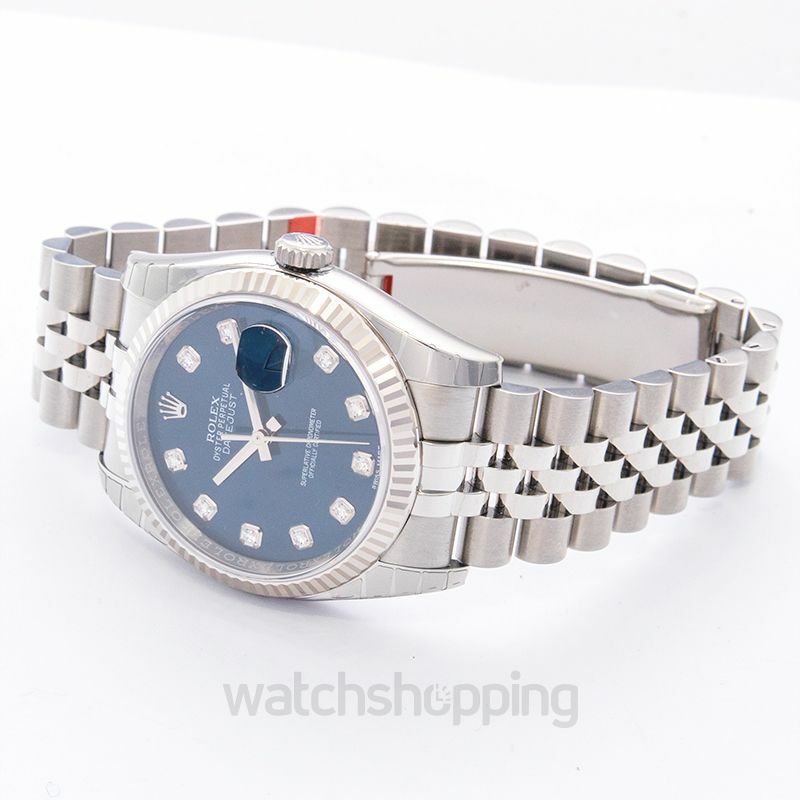 The Rolex 116234-0142 is a classic. 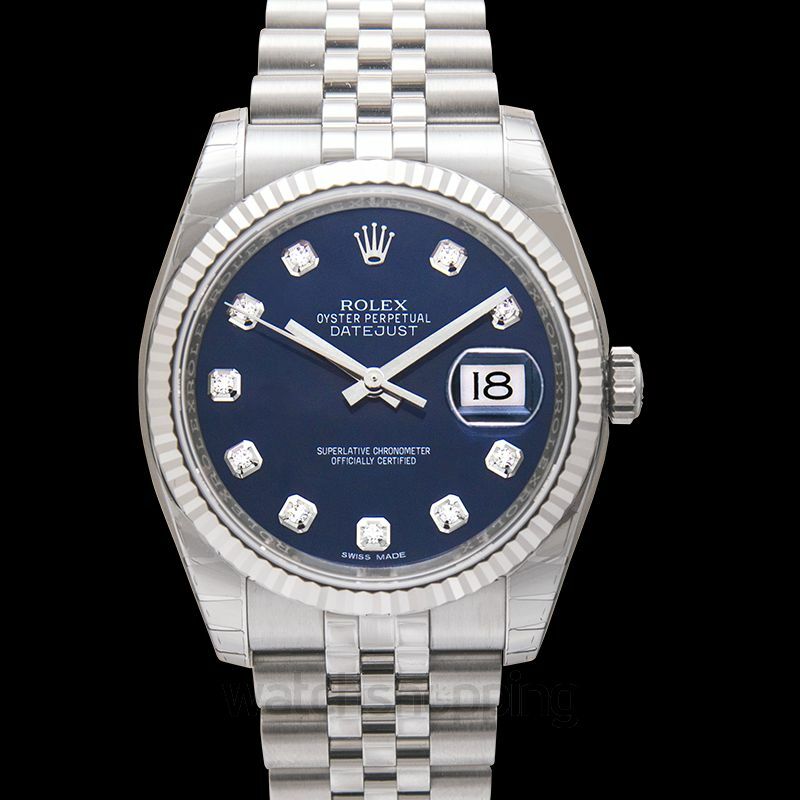 It comes with an eye-catching blue dial. 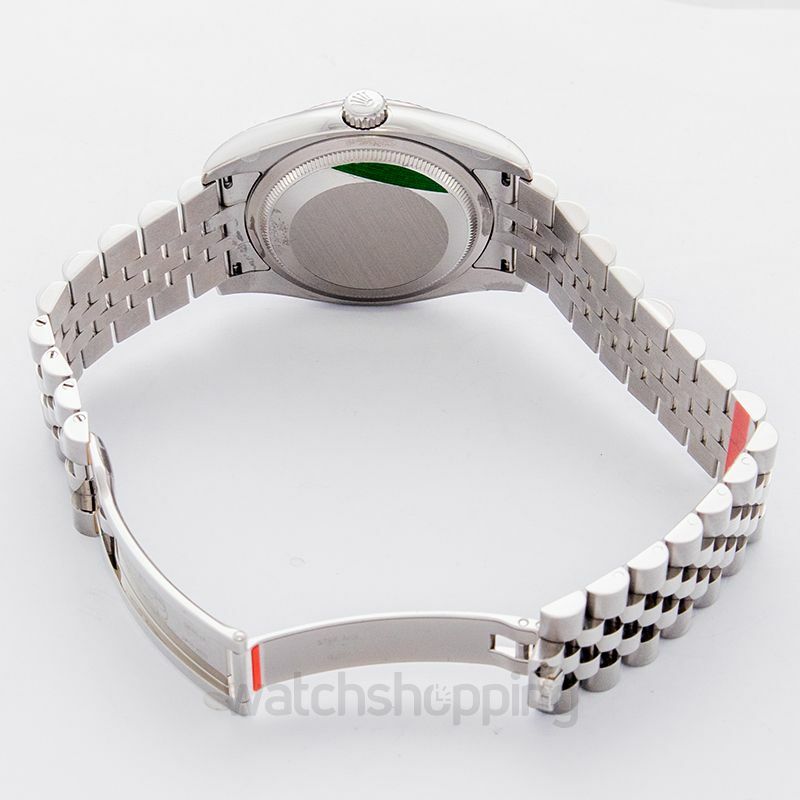 The bracelet is made with stainless steel. The watch has an automatic running mechanism. Known as a luxury watch, the diamonds are placed as numerals. 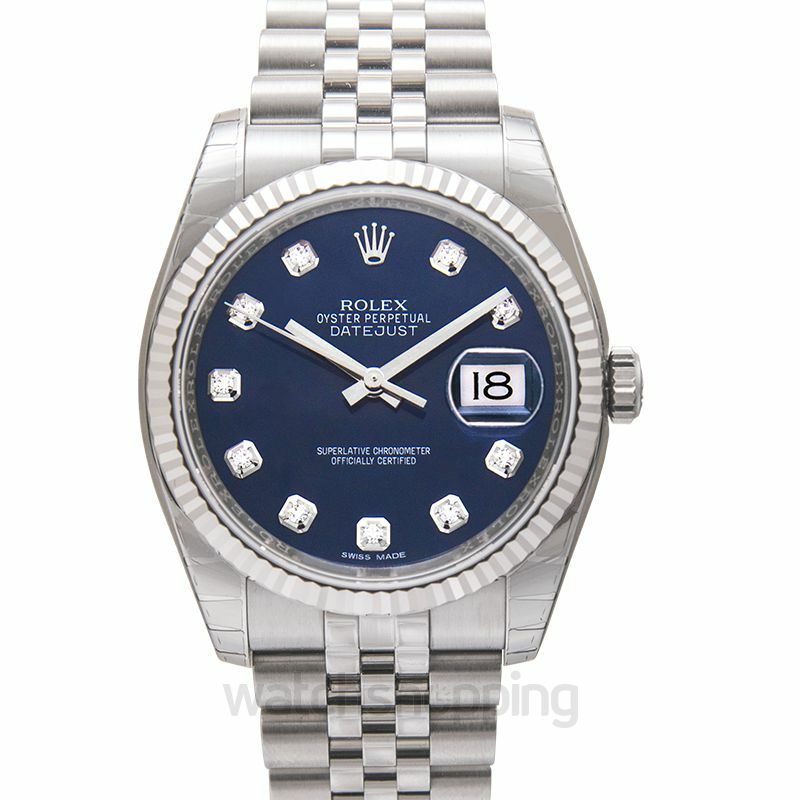 The watch case consists of an alloy or 18 ct white gold with oyster-steel. This ensures a long life of the product. The date is covered in a cyclops lens which makes it appear magnified. Rolex hasn't compromised on the caliber of this watch. It has also programmed it with a hairspring to bear shock and unpredictable changes. I recommend this watch to everyone.